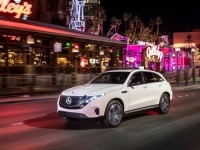 Mercedes-Benz EQC Source: © 2019 Daimler AG. All rights reserved. 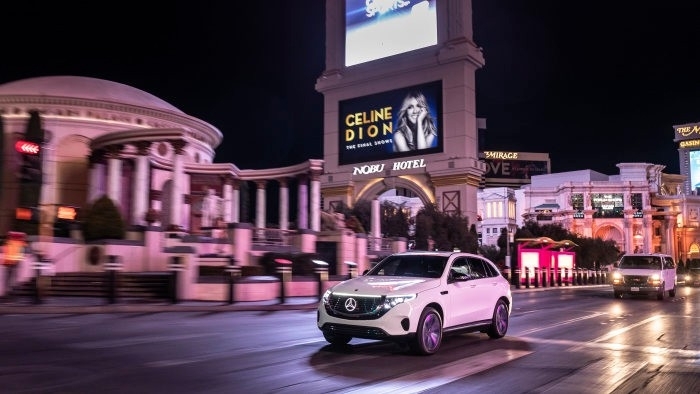 USPA NEWS - At CES 2019 in Las Vegas the first Mercedes-Benz vehicle from the EQ brand is celebrating its US premiere. The EQC (combined power consumption: 22.2 kWh/100 km; CO2 emissions combined: 0 g/km, provisional details) symbolises the beginning of a new mobility era at Daimler. With its seamless, clear design and colour highlights typical of the brand, it is a pioneer for an avant-garde electric look while representing the design idiom of Progressive Luxury. 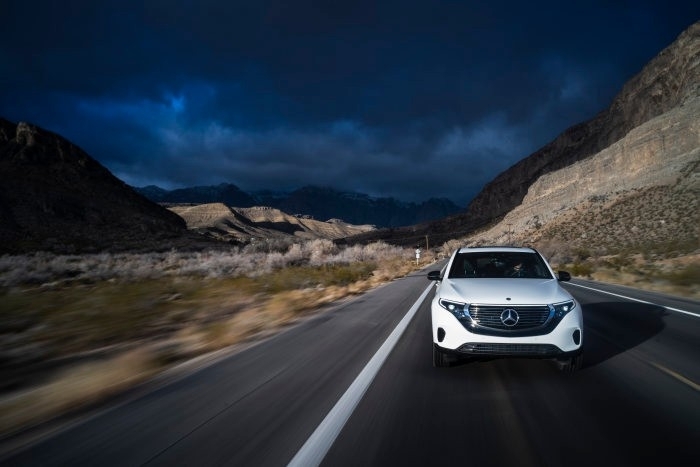 With respect to quality, safety and comfort the EQC is the Mercedes-Benz among electric vehicles, and highly convincing in the sum of its attributes. 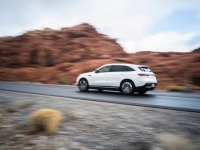 These elements are accompanied by dynamic performance, thanks to two electric motors at the front and rear axles with a combined output of 300 kW. Thanks to an ingenious operation strategy, the EQC has a preliminary range of 450 kilometres (279 miles) according to the European cycle NEDC. 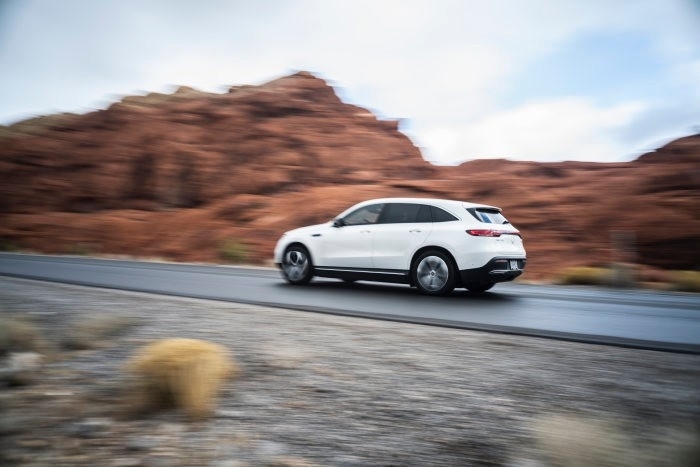 EQ also offers comprehensive services with Mercedes me, and makes electromobility convenient and suitable for day-to-day motoring. A striking feature at the front is the large black-panel surface enclosing the headlamps and grille. 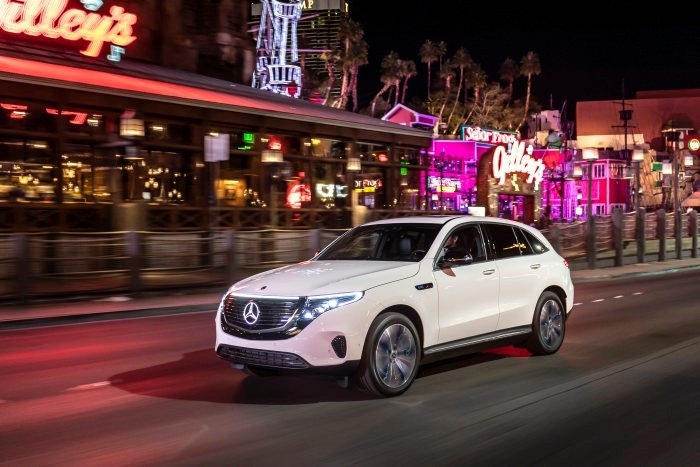 Exclusively for the American market the large Mercedes star on the panel is illuminated at night as standard and for the first time it can also be combined with the radar-controlled DISTRONIC. This ensures a particularly impressive look in darkness. The Night Design is also unique thanks to the inclusion of the fibre-optic cable for the first time. As the finishing touch to the top of the Black Panel it provides a visual link to the characteristic Mercedes‑Benz daytime running lights. This creates an almost uninterrupted, horizontal light band. The inner housings and tubes of the standard MULTIBEAM LED headlamps are in high-gloss black. Contrasting colour highlights discreetly confirm the model's membership of the new EQ family: blue stripes on a white background, and MULTIBEAM lettering also in blue. 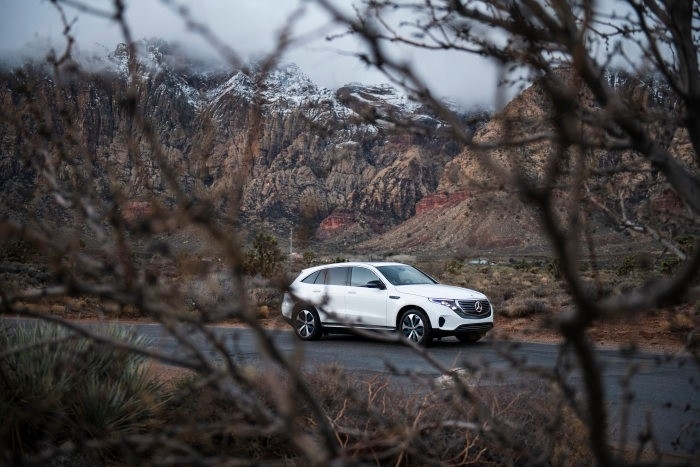 The high-quality interior of the EQC also pioneers an avant-garde electro-look. One example is the louvred edge of the instrument panel, which resembles the cooling ribs of a hi-fi amplifier. The instrument panel is designed as a driver-oriented cockpit. The typical Mercedes-Benz wing profile is asymmetrical, with a "cut-out" in the driver area. This is where one of the visual highlights of the cockpit is located - a high-tech, high gloss cassette housing flat air vents with key-shaped, rosé-gold coloured louvres. 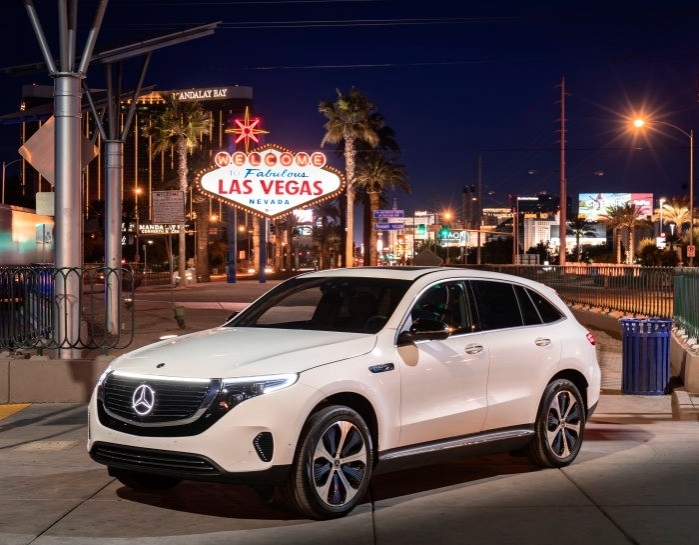 The EQC features the innovative multimedia system MBUX - Mercedes-Benz User Experience - which has numerous EQ-specific functions such as the display of range, charge status and energy flow. EQ-optimised navigation, driving modes, charging current and departure time can also be controlled and set via MBUX. The MBUX display has a special EQ icon where numerous EQ features are grouped. Alternatively the user can access the EQ menu of the MBUX system directly using a key in the lower left control panel. 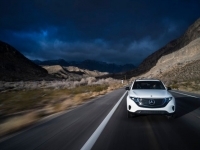 Thanks to natural language recognition, the EQ-specific voice control helps the driver to operate the EQC. It enables the adaptation of screen content as soon as a hand approaches the touchscreen in the dashboard or the touchpad on the centre console, for example. Individual elements are highlighted according to the currently active menu. In addition, the system is able to distinguish between the driver's and front passenger's wishes and thus knows for whose seat the seat heating is to be activated, for example. A special feature of Interior Assist is the personal favourites function. The driver and front passenger can both program a personal, favourite function which is initiated using a horizontally outstretched index and middle finger. In this way, any command which is controllable via MBUX can be stored for simple access. One typical favourite command is "navigate me home". The system is also in a position to detect reliably whether it is being operated by the driver or front passenger. This even means that they can each assign their own different favourites with the same hand position. There are other functions which can be controlled intuitively, without any need to practise corresponding gestures: In the dark, the reading lamp can be switched on and off by briefly extending a hand towards the rear-view mirror, for example. If the driver reaches over towards the (unoccupied) front passenger seat in the dark, it will be illuminated automatically. This makes it easier to find any items which may have been deposited on the seat. As soon as the person's hand leaves this area, the light automatically switches off again. One decisive innovation is the so-called battery-joining centre where the EQC undergoes a second "marriage" following installation of the two electric powerpacks in the bodyshell. This is where the EQCs are recognised as electric models with the help of data tags attached to the body, and equipped with a battery. The body is suspended from a so-called C-carrier and deposited on a frame. Support arms raise the battery to the vehicle's floor from below. An employee monitors the automatic bolting in place. 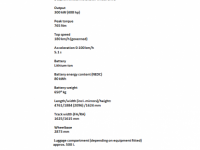 Figures for power consumption and CO2 emissions are provisional and were determined by the German Technical Service. 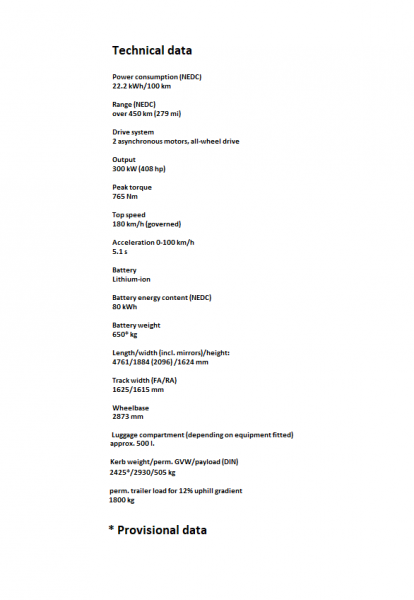 The range figures are also provisional. EC type approval and a certificate of conformity with official figures are not yet available. Differences between the stated figures and the official figures are possible.